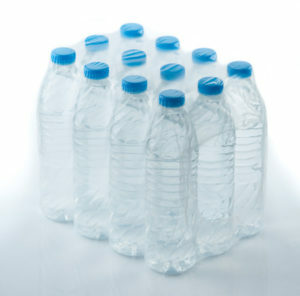 If your company is searching for an experienced beverage copacker, turn to the experts at Southeast Bottling & Beverage. Southeast Bottling & Beverage is a beverage bottling company that has served beverage manufacturers for decades. We offer comprehensive bottling and copacking solutions to businesses of all sizes, from established brands to new startups. We offer beverage companies tools and resources during every stage of the beverage development process, going well beyond the services offered at another beverage copacker. From assisting with product development and ingredient procurement to completing your bottling, labeling, packaging and more, we can have your product shelf-ready in no time. In addition, our facility is state-of-the-art. Certified for Halal, Kosher and Organic RTD beverage production, our 76,000-square foot bottling facility was built to cGMP regulations and features five filling rooms, a separate pharmacy, an air-conditioned warehouse for raw ingredients, on-site refrigerated storage, 3 liquid filling lines and so much more. We are also registered with the U.S. Food and Drug Administration and have earned a passing Food Safety Audit rating to further guarantee the strictest quality control. We have helped businesses in Kentucky, Maryland, West Virginia, New Jersey, Tennessee and the surrounding states, so if you are looking for an experienced and reputable beverage copacker, turn to the beverage bottling company you can trust to produce the highest quality products possible. Contact Southeast Bottling & Beverage today for more information about our copacking solutions or to get started on your next RTD beverage product. We look forward to helping your business produce amazing RTD products that consumers will love!